Asean finance ministers demonstrated their powers of persuasion yesterday, as they pitched their countries' infrastructure projects and the measures that mitigate the risks for investors. 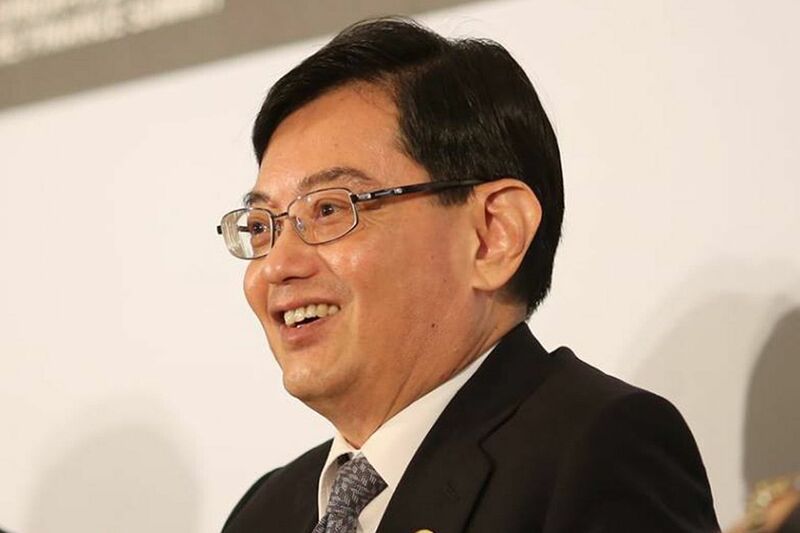 Led by Singapore Finance Minister Heng Swee Keat at the World Bank Singapore Infrastructure Finance Summit, they called for a collective effort, which would be more efficient in meeting international investors' concerns. While Asean countries have been successful in tapping the private capital market for infrastructure financing, it is also time to step up, said Mr Heng, the keynote speaker. Last year Indonesia's second-biggest power producer PT Paiton Energy's US$2 billion (S$2.6 billion) project finance bond attracted some US$9 billion in orders. "The opportunity set is large but much work is needed to mainstream Asean infrastructure financing as an asset class," he said. The Asian Development Bank estimates Asean's infrastructure investment needs from 2016 to 2030 will total US$2.8 trillion. Asean needs to raise the visibility of its investment opportunities and projects, Mr Heng said, and promote itself as an investment bloc. FINANCE MINISTER HENG SWEE KEAT, on Asean having to improve the bankability of its infrastructure projects. In the energy sector, there are about 77 renewable energy projects in hydro, solar, wind, geothermal and biomass. There are tremendous opportunities as demand for electricity in Asean is expected to grow at a compound annual growth rate of 4 per cent from 2014 to 2025. In transport, rapid urbanisation and increased mobility have raised demand for transport infrastructure and more efficient networks. There are 219 road and bridge projects alone in the pipeline. Mr Heng said Asean has to improve the bankability of its infrastructure projects. "The goal is to draw in private-sector participation on projects that provide reasonable returns with reduced project volatility," he said. Where the expected revenue may not cover costs fully, governments can step in to increase a project's bankability, by providing co-funding, raising user charges, or extracting additional funding from value created from the project. Where there are sufficient revenues to cover the cost but exposure to certain risks remain high, risk-mitigating measures such as government guarantees and credit enhancements can come into play. Multilateral development banks can play a role too, he said, citing the World Bank International Finance Corporation (IFC) Managed Co-Lending Portfolio Programme. It facilitates the participation of institutional investors in infrastructure by allowing them to invest in infrastructure loans originated by the IFC. Singapore's Infrastructure Asia office, to open this month, will harness the collective capabilities of public-sector agencies and private-sector firms, partnering key stakeholders in the region to catalyse more project opportunities that meet Asia's infrastructure needs. One of its key initiatives will be to develop a multi-year capacity-building scheme for regional government officials. Standard Chartered Bank's global head of project and export finance Surya Bagchi said there is an increasing trend of private-sector investors keen on funding infrastructure projects. "This ranges from commercial banks who are skilled in assessing projects during their construction phase to infrastructure and pension funds, insurance companies who prefer the long-term stable yields and good credit ratings of completed projects."